Time: Monday – Friday: 09.30 – 17.30. Saturday: 10.00 – 14.00 (Non stop). 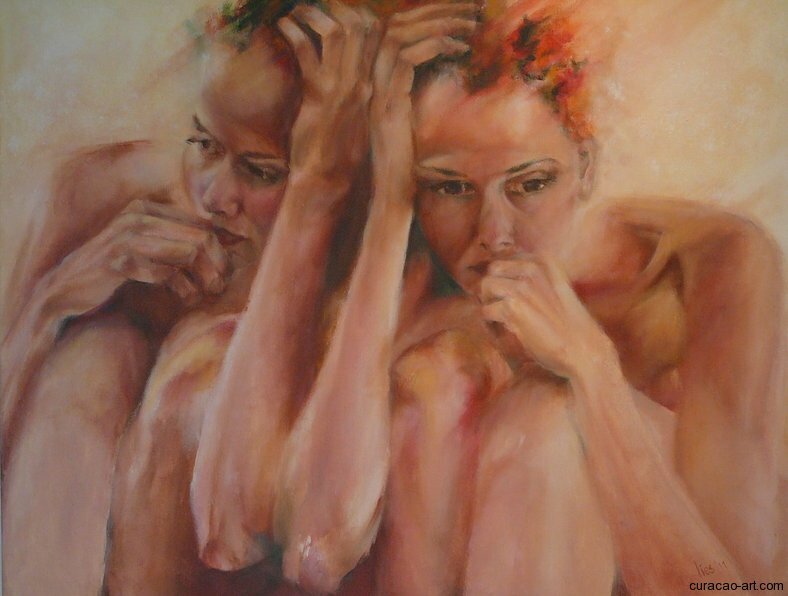 On International Women’s Day 2013, Gallery Alma Blou in Curaçao opens a new art exhibit aptly titled ‘From Woman to Woman’. A special event as it is also the first solo of Lies Bruens (Curaçao, 1954). 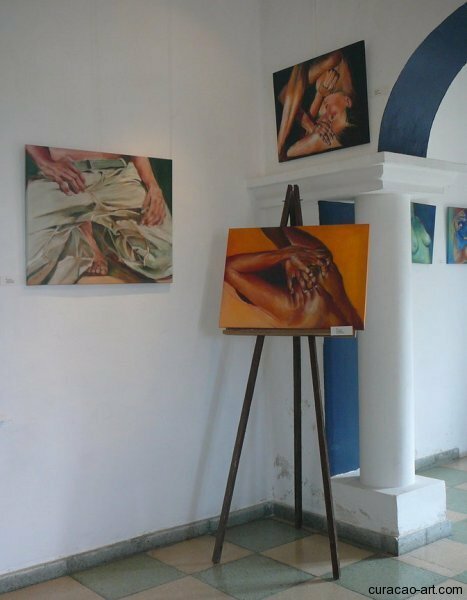 Lies, an ex-student of the well known artist Ria Houwen, is starting her artistic career by exhibiting 24 paintings of the female body. ‘Although I had never really painted before, it soon became a passion’, says Lies. 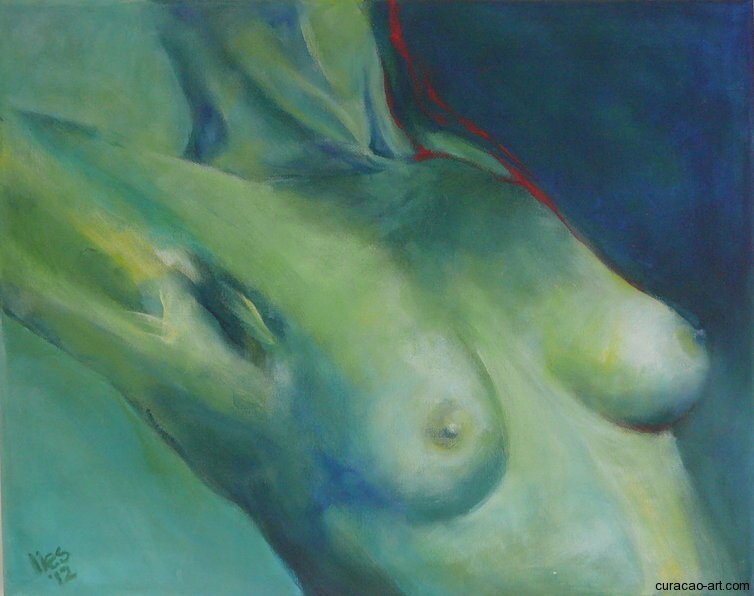 ‘I prefer painting people and focus mainly on the human body. Up till now my work has been realistic, but at present I am ready to move on. That is why I decided to have this exhibition. After this, I need to explore the other possibilities that painting has to offer’. The exhibit was opened by Acting Governor Mrs. Adèle van der Pluijm-Vrede, and her former teacher Ria Houwen gave an introduction to Lies’ artworks. The titles of the paintings refer to genres and terminology in music like Zouk, Fuga, Ballade and Jazz. Every musical piece creates a certain ambience. For every painting she chose a musical term that matched with the image. In many of the pieces her daughter features as the model. Lies’ main focus goes to the hands and the back of the body. She approaches her model from different, unusual angles. In Reggeaton I she views her object from above and concentrates solely on the legs in jeans, arms and hands. Opus III shows a bended body, also seen from above, with a clearly defined spinal column. In Da Capo, the view point is level with the object. Here the lines are gentle but the colors are strong and vibrant. The final painting she made for the exhibit is Soul. Here the model is seen from the back, holding her head with one hand. Lies focuses primarily on the shoulder, neck and hand whilst the bent arm creates a sense of depth. 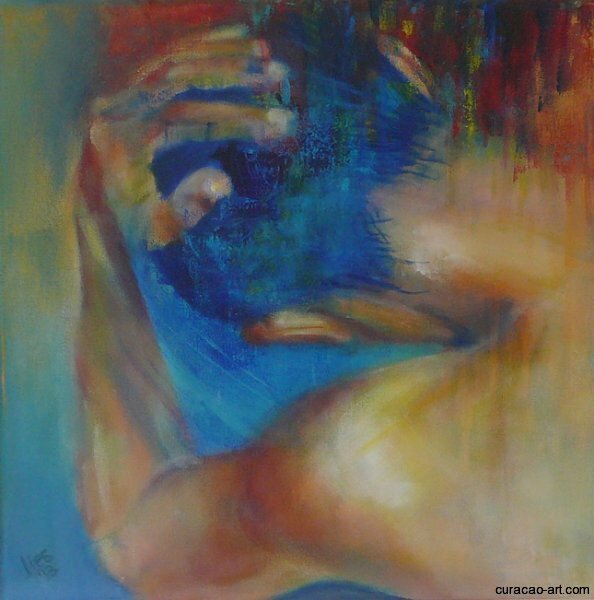 A bold use of colors in the right upper corner claims the attention of the viewer and enhances the depth in the painting. 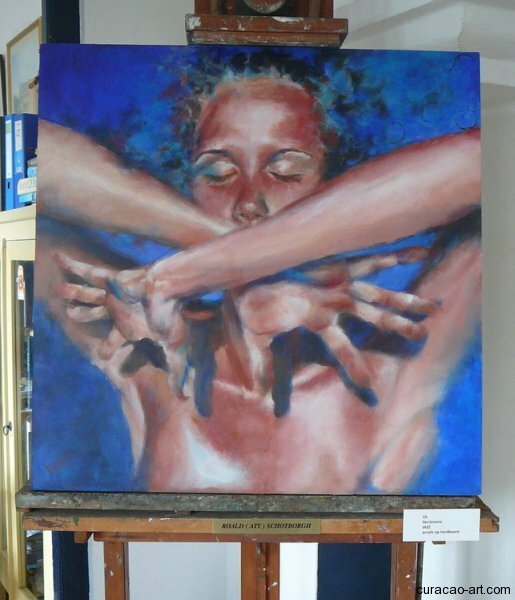 Local artists that inspire her are Ria Houwen and Carlos Blaaker. 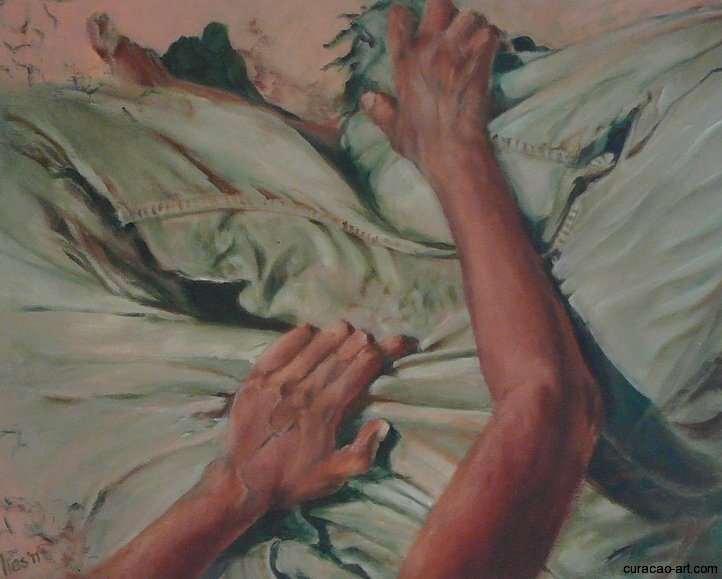 Lies is also an admirer of the American portraitist Elizabeth Peyton (1965) and the British artist Nathan Ford (1977).